These modifications are made up totally by myself and I'm hoping for some comments on the custom rules. 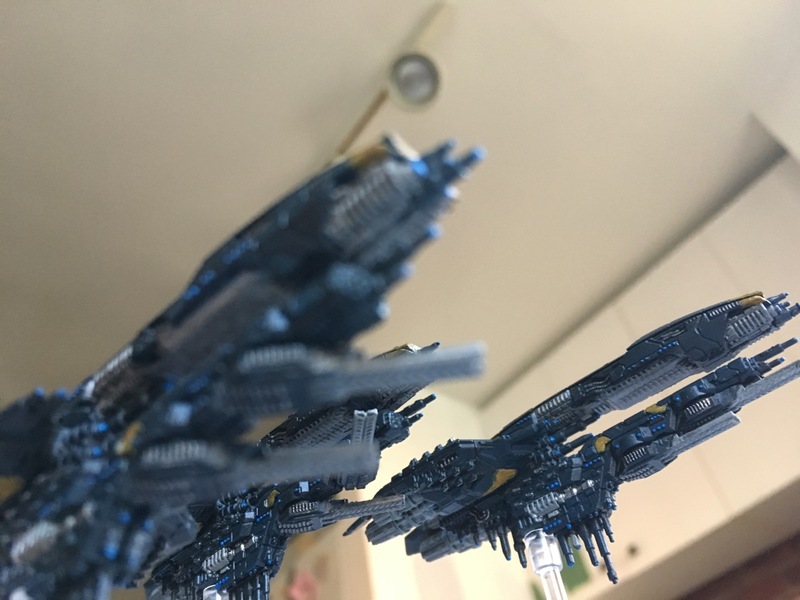 They are based on assumptions of scenarios of what a normal eldar fleet may encounter and the evolution of their technology over context, change of needs, the environment, so on and so forth. I also utilize the VDR software to derive points and also other arbitrary estimation to suit the current edition of rules and codex. Not enough points to justify? too cheesy?... if you have any comments please feel free to put in some thoughts.... I need some comments on these drafts before i can confidently put this on the table for game play (with the agreement from the opponent of course!). Thanks. I like the idea of a jump pack war walker. 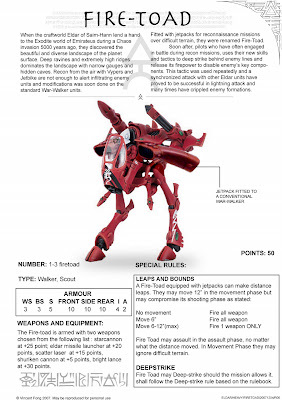 GW seems to like to paint/display the war walker in Saim-Hann colors but I never could really picture a WW in a Saim-Hann list of all jetbikes, grav-tanks, and other flyers, but a jetpack would tie it in nicely. I like that you've written some additional rules, but unfortunately I don't play 40K. I was thinking of making some up for fantasy. These rules are fantastic. Written and presented in a very professional manner. 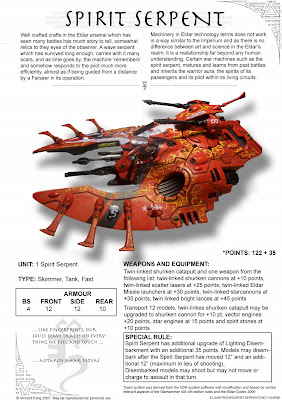 I think the firetoad walker would fit right in with the eldar theme. With the changes in 5th edition allowing walkers to "run", some might say a heavy weapons platform like the warwalker moving 13-18 inches per turn could be a bit much... but still i love the idea. Also The idea behind the spirit serpent, and the veterans. 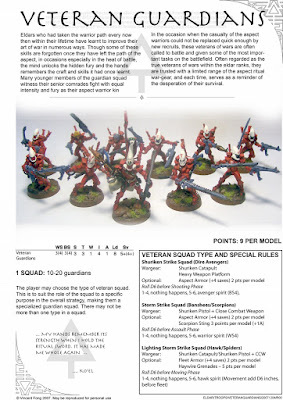 though I think the additional rules behind the veterans make them overly complex. I think simply giving them 4bs 4ws and "special weapon" access to aspect gear would be enough.